Children left at school after 3.15pm will be sent to Mai Place, after school care. Apart from the arrival of spring and promise of summer, there is much to celebrate at school. 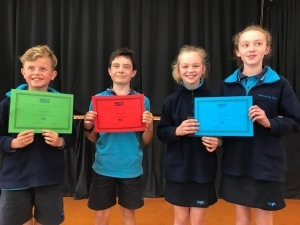 The standard at the speech finals was humbling and the judge for the Year 6 speechmakers, an English secondary teacher, claimed any of them would achieve “credit” at Year 11! 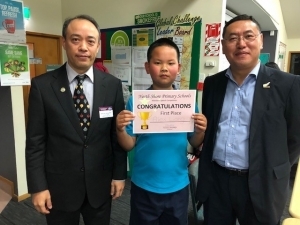 Alex Liang won the North Shore primary school’s Mandarin speech final and we congratulate him too. The effort seen by our cross country runners was commendable particularly for those who have battled winter ills in the weeks before the event. Great to see so many parents here on Friday to support our young runners. 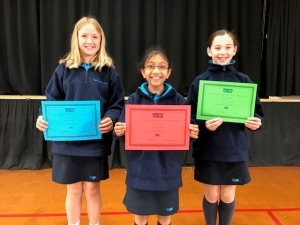 Congratulations to the podium finishers and well done too, to our Marimba groups who performed with distinction at the annual Marimba Festival at Kohimarama on Saturday. I recorded our standout school item for the 4pm concert here which features three of our students with an original composition. The new school vision, that so many of you have contributed to, is almost ready for sharing. It’s undergoing final tweaks before the Board signs it off. We value community and love the way so many parents support the school and engage with us in so many ways. We have done an audit for safety and have a number of requests that will be emailed soon. These are usually restating existing rules or expectations that need to be better understood so that the safety of our children is always the priority. 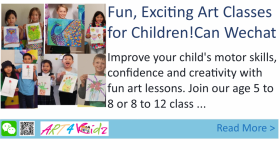 Look out for a special email and paper notice coming home with your child soon. Chen Liu, James Guo, Thomas Feng, George Feng and Sophia Li. The teacher union, NZEI Te Riu Roa, continues to negotiate in good faith, but the Government says it will take time to fix the issues. We want your children to have the very best education we can provide. We’re standing firm in that commitment and believe the time is now to ensure that schools can offer every child the education and support they need, and that we have a sustainable teaching profession into the future. Thank you to those parents that participated in our recent survey to gain their thoughts on the Health education curriculum at Mairangi Bay School. Your comments were helpful in our review of our Health curriculum. The feedback was positive with reference to three common themes. Many parents indicated that mental health was a priority in particular student wellbeing. We will continue to be mindful of the wellbeing of our students and provide support when necessary. Parents also identified the need for a puberty programme for the older students. As a result, a programme will be adopted in 2019 for Year 5 and 6 students on a yearly basis. Parents will receive information about the programme and can decide if they want their child to participate. Communication with parents is a strong message from this survey, they want to be informed as part of the planning process so they can help support the programme at home. The above items can be purchased through the school office or online. Alternatively, we have a well-stocked second uniform shop which is available school hours. The requirement is for black shoes with the dress uniform (chosen from the school range offered by retailers) and black sandals with the summer/sports uniform (chosen from the school range offered by retailers). There is a significant choice within these requirements. Children who require sports shoes for sports practices need to bring them to school in their bags. Parents are reminded to name footwear with a permanent marker or by personalised stick-on labels available for this purpose. Navy or white socks. No black leggings. Headbands may be worn but they must be a plain and navy or white. No undergarment (eg thermal) should be visible. Each uniform item must be named and can then be easily claimed from the lost property. Thank you for your full co-operation in this matter. Thank you to all those parents that abide by our parking rules. We have many new parents who may be unsure of the parking etiquette of our school. Below is a copy of the information on parking, taken from our school booklet. 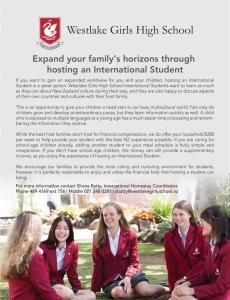 If you would like to read our booklet, it is available on our school website www.mairangibay.school.nz under parent information and information booklets. Thank you for choosing child safety over convenience at all times. The school has a Travel Plan which, with Council’s help, is providing safer crossing sites for students so that parents can further encourage walking to and from school. We have two entrances, each of which presents potential hazards when children are arriving at, and leaving, school. Parents who are bringing and/or collecting children from school at the Galaxy Drive entrance must observe the following guidelines. 1. Do not get out of your car between the P2 signs. This is the drop off/pick up zone. Drivers who infringe are likely to receive parking tickets. 2. Do not park over driveways, entrances, “yellow lines” or the white lines by the Kia Crossing. 3. Do not “double park”. 4. Do not call your child across the road or allow younger children to cross on their own when traffic is heavy. Cross with your child at a safe place. 5. Do not drive into the school driveway or school ground to bring or collect your child. 6. Avoid reversing or making “U” turns in Galaxy Drive. 7. Ensure that children leave and enter cars on the passenger’s side at the footpath. No parking is available in the school grounds. Please park at the roadside avoiding the no parking areas. Parents using the Agathis Avenue entrance are requested to park well clear of the turning circle. The car park in the school grounds is for staff use and official visitors. Do not use this park to pick up or drop off children, or as a turning area. When turning in Agathis Avenue do so with great caution. The walkway to Mayfair Crescent is recommended to parents as this is a safe place to let off children in the morning and park and wait for children after school. 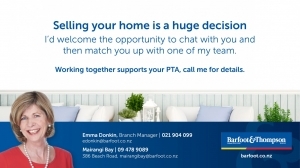 A “walking bus” operates from the Kowhai Road and Maxwelton Drive areas. This is supervised safe walking. Phone our school office for more information. Our road patrol operates every day on Matipo Road from 8.30am until 8.55am and then after school until 3.15pm. Parents who have to drive their children to school are encouraged to reduce congestion by dropping and collecting their children in Matipo Road and avoiding Galaxy Drive. Always choose safety over convenience. People who put our children’s safety at risk can expect infringement notices from the police or council. If children cannot be collected at 3.15 pm, they will taken to the office and parents phoned. If this happens regularly they will be booked into Mai Place, our after-school care facility. Mai Place information and charges can be found on our website www.mairangibay.school.nz under parent information, before and after school care. There will be a further communication about waiting to collect children at 3pm, and supervision after school so that everyone is on the same page. Safety must come first. Years 5 & 6 speech finals. 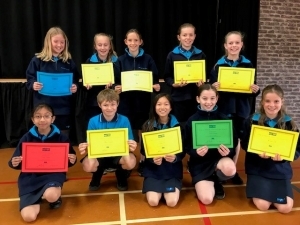 Congratulations to the 20 senior students who made it through to the Year 5 and Year 6 Speech Contest last week. Two students from each class made it through to the finals to present their well crafted persuasive speeches. Each contest had a guest adult judge and a guest ex-student judge who worked together to award marks on a variety of criteria. Finalists in Year 5 were Ethan Swanepoel, Lily Newman, Katie Shi, Jessy Westerkamp, Phoebe Grant, Jade Hopkins, Annabel Lile – third pace went to Sophie Glasgow, second place went to Ella Nel, and the winner was Meera Mistry. 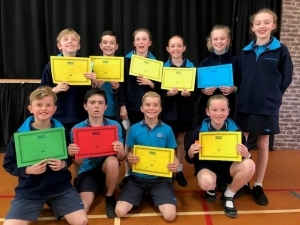 Finalists in Year 6 were Van Jackman, Devon Conn, Lucy Martin, Ben Hollis, Libby Cleaver, Molly Gladding, third pace went to Max Mitchell, joint second place went to Poppy Glasgow and Alice Bell and the winner was Sammy Davies. Big congratulations to our winners, place getters and finalists, but also to all our students who presented their speeches to their classes. Well done everyone! 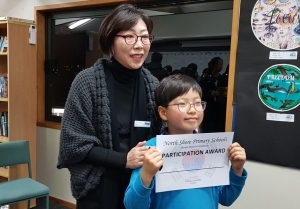 Congratulations to Zion Jun Room 3 and Alex Liang Room 14 who recently competed in the North Shore Primary Schools’ Korean and Mandarin speech competitions. Both students gave their speeches with confidence and skill and were great representatives for the school. Zion received a participation certificate for his Korean language speech on Lego and Alex was placed first in the Mandarin language competition with his speech on homework. A selection of room 15 students were lucky enough to trial the use of virtual reality goggles for the first time in a New Zealand primary school, courtesy of the Peter Blake foundation. They found the experience thrilling and fed back how real they thought the underwater world was. Congratulations to the 56 Marimba players on Saturday’s Marimba Festival. The Year 5 group wowed the audience in the 12 noon concert with 10 other schools. The 4pm concert was the turn for the Year 6 performers with their solo item and another group of schools. Parents and teachers were well entertained at both concerts with pieces from the Ocean theme. Well done Marimba players for all your hard work this year. Ukulele players practice 12.45pm on Thursdays. We are attending the Ukulele Festival on the 17 November. We have registered our school to take part in this national event and would love as many families as possible to help us by growing seedlings at home to sell at school on Grandparent’s day in Term 4 (the date to be advised). If you are unable to grow seedlings at home, some classes are growing them at school and would love to have donations of seeds, seed raising mix, potting mix, used seedling punnets and egg cartons. Mairangi Bay School has also entered the School Garden section of The NZ Flower and Garden Show! 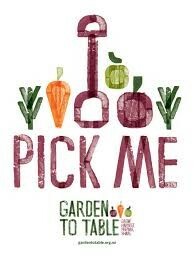 Garden to Table are once again delighted to be partnering with the NZ Flower & Garden Show to run the very popular school garden section of the show. In 2017 eight Primary schools took part and had a fantastic time designing and planting. Four gardens even won a Gold award from the judges! This is a wonderful opportunity to encourage creativity and showcase your school in a unique way. Each participating school is provided a 4.8X4.8mtr garden bed with a raised 300mm border in which to create their original edible garden design. 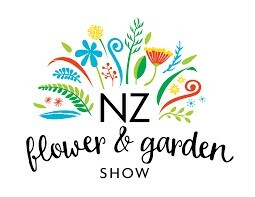 This year we are delighted that NZ Flower & Garden show is also donating some tickets to each participating school. We need a few more players for our touch teams if you are interested in playing in Term 4. Please email sports@mairangibay.school.nz asap. Thinkathon: Reminder to collect sponsorship money and return it to school with your child this week. There are heaps of prizes up for grabs!!! Thanks so much for your support for this great fundraiser. Yummy stickers: Thank you so much to everyone who had been busy collecting yummy stickers for sports equipment. Please return all sheets to school within the next few weeks. Simply post completed or semi-completed sheets in the PTA box in the school foyer. Family summer soccer: Interest is sought for a ‘TGIF’ fun summer soccer league here at MBS, running for 6 weeks from 19th October, run by your fabulous PTA. We are looking for teams of 6 players, boys and girls, aged between 5 to 8 years, limited to 8 teams per league. Two leagues available – grades 5 to 6 mixed, and grades 7 to 8 mixed. Newcomers to football welcome! Games will run for two 12 minute halves, with grades 5-7 kicking off at 5.00 and 5.30pm, grades 7-8 at 6.00 and 6.30pm. 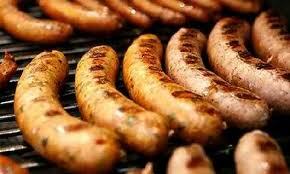 BYO family picnic dinner and sausage sizzle. Children from other schools welcome to make up teams. 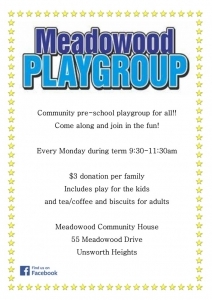 Only $30 per player (all money raised will go towards our playground upgrade projects). Contact us at mbspta@gmail.com to register your interest as either a team or as an individual NOW. FREE CAB North Shore New Migrant Information Session – Information sessions for New Migrants – Wednesday, September 5th on Consumer rights and buying a car in NZ. Held in the Takapuna Hub, Mary Thomas Centre, 3 Gibbons Road, Takapuna, 0622 at 10:30am to 12:30pm, with morning tea included. Parking is free for an hour under Takapuna Library, there is metered parking around the waterfront and free parking on Gibbons road for up to 120 minutes. You can also park in the Takapuna shopping mall where the Farmers store is, for up to 3 hours free and it’s a short walk from there. Westlake Girls High School are expanding their homestay network on the Shore. 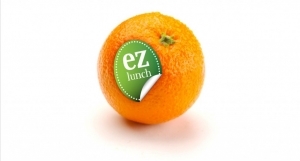 NEW ezlunch Supplier – Tofuman!! Available every day from Monday 10 September! Now you can order Asian pan cakes, buns and fritters through ezlunch making it easy for you to order a fab fresh lunch while supporting our school! You can order lunch by clicking here: Order any time before 9am on the day or schedule in advance. Lunch will be delivered to school at lunchtime. To see the Go-Deli Catering and Tofuman menus, click here! 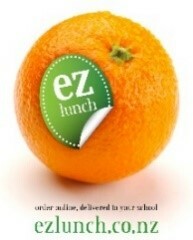 ezlunch orders are made online through your myKindo account. One account for the whole family! Get started now… go to www.mykindo.co.nz and click ‘create account’. This is a reminder about the North Shore KCC trip to the lava caves on Rangitoto Island on Sunday, 16 September. The ferry leaves Devonport at 9.25am (city at 9.15am). Please book on the ferry directly with Fullers by 13 September using the booking number 440524 so that, if there are enough people, we can get a group discount. We will be returning by ferry at 4.00pm. There is a ferry at 12.45pm if anyone needs to leave early. Please also book at https://goo.gl/g7N36g so that I have a list of the people coming on the trip. After visiting the lava caves with our expert Peter Crossley, we will climb up to the summit. It will take about an hour to reach the caves including some stops along the way. If there is time after descending Rangitoto, we will visit the Kidney Fern Glen. Please bring food and plenty of water to drink. There is no supply of drinking water on the island. Please bring a torch and/or headlight, and wear long trousers and sturdy shoes. The rugged lava surfaces are sharp and unforgiving. Also, wear a hat and sunscreen, and bring a jacket too. Before leaving home check that your gear is free of rodents, insects and skinks. Ensure your shoes are clean with no soil or seeds. Do not bring any open bags – bags must be sealed. 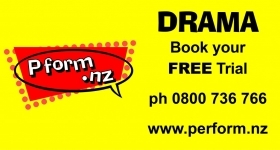 Contact Sharon McGaffin at sharon.mcgaffin@xtra.co.nz or 09 483 9762 for information. PIPPINS – fun for girls – Pippins is the youngest of the Girl Guiding family and is for girls aged 5 and 6. We help girls to make new friends and grow in self-confidence in a fun and exciting way. There are lots of great activities and badges to be earned. This term alone we have worked our way through 6 badges. If you would like to visit please email sunnynookpippins@gmail.com – Pippins meet Thursday at the Sunnynook Community Centre 4.15-5.30pm on school days.